What do you call a movie starring a past-his-prime Academy Award winner, a WWE pro wrestler, one of the biggest divas in Hollywood, a former MTV Real World star, the guy who played Ryu in the Street Fighter movie, and the worst actor to ever appear in The Fast and Furious franchise, all working under the direction of a member of the Wu-Tang Clan? I call it a bad idea and the folks at Universal decided to call it The Man with the Iron Fist. I knew what I was in for the first time I saw the trailer – a cheap rip off of the Asian martial arts film genre only with weaker writing and less credible acting. And that’s precisely what you get in this movie, which tells the tale of a freed slave turned blacksmith who finds himself in the middle of a fight between different regional factions over a small fortune in emperor’s gold. Added to the mix are assassins/prostitutes, a man who turns into metal (seriously), and a revenge-seeking blade-wielding son. Not included in this mix is any semblance of legitimate storytelling. So let me not mince words here as I get into nitty gritty of what is wrong with this movie. It is a farcical, narcissistic, self-indulgent journey into the fantasyland of a man/child stuck in his teen years. Caricatures, stereotypes, and walking embellishments populate the plot and act out a series of nonsensical moves that result in sexual and violent delusions of grandeur under the guise of fortune cookie philosophy. Writer Eli Roth hits a new all-time low with this script and first-time feature director RZA follows that up by making sure that nothing credible makes it onto the big screen. As for the cast, there is a lot of blame to go around and no shortage of culprits. Russell Crowe (of Gladiator and A Beautiful Mind fame) for some inexplicable reason appears in this film and seems content to flaunt his ego and gut for the duration of the movie with very little regard for his craft. Lucy Liu, Rick Yune, and Byron Mann have never shown themselves to be gifted in the acting department so kudos to them for keeping their respective streaks of ineptitude intact. 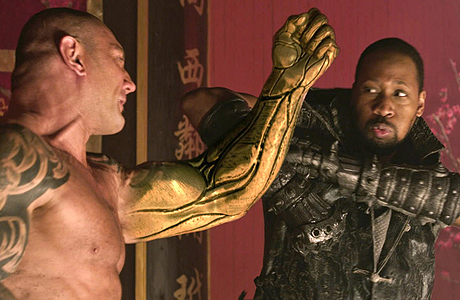 Jamie Chung and Dave Bautista are in this film as a beauty and a beast respectively and they both fit the bill about as well as can be expected from any D-level reality star and a WWE wrestling washout. Despite all this, the biggest piece of the blame pie has to go to RZA. If you want to not only direct, but also cast yourself as the lead in a movie, you had better be able to wear at least one of those hats really well. But as a first time director and someone whose recent acting credits include such illustrious roles as the unnamed Airport Screener in Due Date, he does not put himself in a position to succeed. We’ve recently seen what success looks like as a director/lead in a feature film with Ben Affleck’s work in Argo, and RZA and his work in The Man with the Iron Fists is the polar opposite. Standout Performance: Everyone who did not contribute to the $18M worldwide that this movie grossed theatrically. Kudos to you for exercising great sense. I don’t venture too far into those films (animated and live action) that are geared towards kids but also attract adult viewers. It’s just not something I am terribly interested in. Diary of a Wimpy Kid is the exception to this rule for no better reason than I stumbled onto the franchise while looking for books to buy for my niece. The written works are well done relative to other children’s books and the first two film entries have done them justice by featuring some light-hearted family fare. Unfortunately, the third time is not the charm for this franchise as Diary of a Wimpy Kid: Dog Days is short on laughs and pales in comparison to its predecessors. 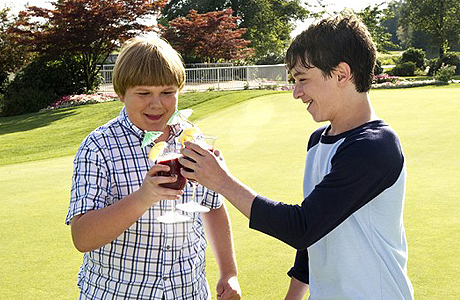 The plot follows Zachary Gordon’s Greg as he embarks on summer vacation. When his dreams of salting the summer away playing video games goes awry, Greg must negotiate his relationship with his dad, win the heart of Holly Hills, and mend his friendship with Rowley Jefferson. As usual, his mother and troublesome brothers Rodrick and Manny are along for the tumultuous ride. Let me start by stating the obvious that this movie is not intended for me. I am twenty years passed the target demographic. However, in reviewing this film, I considered it through the lens of my niece and nephew’s perspectives. I found that the issue plaguing this movie is that the plot gets stuck between the youthful hijinks of the earlier films and a desire to transition into a movie that caters to a maturing audience. The intricasies of the father / son relationship that are addressed are by no means heavy, but in trying to approach this subject the way it does, it loses the franchise’s signature fun and humor. There’s nothing wrong with evolving and maturing, but for it to work, the film must maintain the core elements that attracted fans in the first place. As for the cast, the work as a whole is merely satisfactory though I admit it is tough to judge with a critical eye as this movie is intended for a younger audience and that defines the performances. Zachary Gordon as protagonist Greg Heffley has defined the character cinematically and his performance remains consistent. Steve Zahn is a seasoned veteran with good comedic timing, but his performance in this movie lacks a bit of the gusto that he brought to the previous films; ditto for Rachael Harris as Susan Heffley though hers could be the result of a reduced role. Rounding out the supporting cast, Robert Capron as Rowley is his typical bumbling sidekick self, Devon Bostick continues his roll as the antagonistic big brother, and Peyton List is adequate as Holly Hills. But really, they are not asked to do much as the plot of the film is a bit all over the place and the plot elements not particularly cohesive. I am hard-pressed to recommend this to you, for your kid, for your nephew, or for anyone else. There’s not enough humor and the hijinks are not clever enough to keep viewers engaged. With all the programming on television these days geared towards youths and tweens, there are too many other options to settle for something mediocre; and that is precisely what this film is. Leave it at the very bottom of the rental queue for a rainy day. Standout Performance: No one particularly stands out head and shoulders above the rest but if the nod has to go to someone, it should be Zachary Gordon since he did the most work. Trivia question: When is it a good idea to remake a film from the 80’s that starred C. Thomas Howell, Patrick Swayze, Jennifer Grey, and Charlie Sheen? 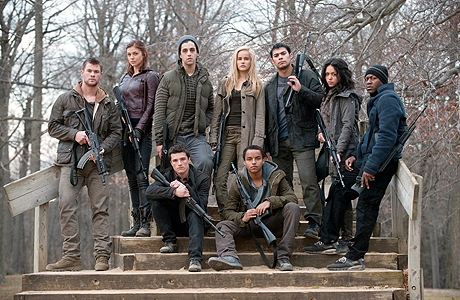 If you have seen the debacle that is Red Dawn (2012), then you know the answer is never. What makes the experience of watching this remake all the more painful is that this disaster could have been avoided as this title was in the can and on the shelf for two years while MGM straightened out its financial woes. Still, had things not worked out for the struggling studio, the world would never have seen Skyfall and therein lies the silver lining. In case you were not able to watch the original, here is the premise of its progeny. Russian backed North Korean forces have invaded the United States but in the upper northwest, one Marine on leave and a small band of high school students form a unit they dub the Wolverines and engage in guerilla tactics to derail the invading forces and shift the balance of the war. If I have not lost you yet, now comes the part of the review where I tell you what was wrong with the film. The premise is unintentionally ridiculous. Movies don’t have to be grounded in reality, but when they go for this kind of vibe, then there better be enough there to suspend your disbelief. Needless to say, reality gets thrown out the window about ten minutes into this movie. 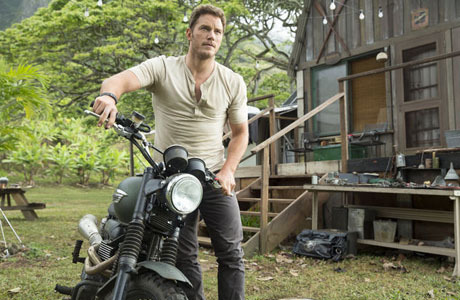 The only way the film could have been salvaged is if the creative team went for camp – some self-awareness that beneath the bullets, the bad acting, and the painful dialogue, that none of this was a serious and that tongue was firmly planted in cheek. But no, they tried to play things straight. The acting does very little to help the brutal plot. I like Chris Hemsworth as an actor – particularly as Thor, but I don’t think it is a stretch to say that we probably won’t ever see him starring opposite Meryl Streep in some dramatic character piece. With his limited range and the horrible script, Hemsworth as Jed Eckert of the U.S. Marine Corp. comes off as nothing more than a cinematic gunning-toting stereotype. And his was probably the best performance. Working opposite Hemsworth is Josh Peck. 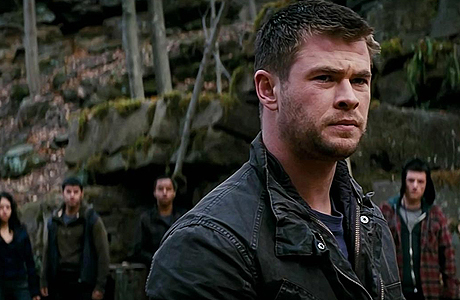 As Hemsworth’s brother Matt, Peck comes off as completely amateurish and redefines the meaning of bad acting. As for the rest of the cast, Josh Hutcherson once again proves that he is not gifted in the acting department; Jeffrey Dean Morgan as Tanner continues his streak of cinematic clunkers (Watchmen, The Losers), and Adrianne Palicki has yet to prove that she is anything more than a very attractive woman. Really, the work in this film from top to bottom is terrible and feels low rent. I spent half the movie thinking that a good director could probably pick a bunch of people off the street and coach them up into a better collective performance. Regardless, my guess here is that director Dan Bradley and his creative team weren’t exactly gunning for an awards season nod, but probably far more interested in doing this on the cheap. So it should come as zero surprise that this movie is an absolute no. No ifs, ands, or buts about it; it is a poorly made film, one that everyone involved should probably try to leave off their respective resumes. If I had a choice between this film and Rock of Ages, I would begrudgingly pick this one, but if it were between this and a root canal, I would have to think long and hard about which I would choose. That pretty much sums up the experience. As for all you Chris Hemsworth fans out there, fear not. He returns to the role for which he is best known (Thor: The Dark World) in November. Here’s hoping that Marvel and the powers-that-be knock that one out of the park. Standout Performance: Adrianne Palicki for being attractive. That’s about all I can come up with for this film. I don’t turn to movies for history lessons (a surprising number of people actually do) and I don’t let filmmakers and actors influence how I think. Movies are entertainment for me – no more, no less. So in regards to Zero Dark Thirty, I have blocked out the noise as to whether the film is politically motivated, pro-torture, historically accurate from start to finish, and so on and so forth. Everyone with an interest in the on goings in and around Capitol Hill seems to have an opinion on this. 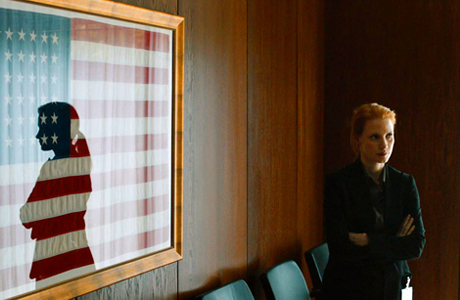 What I can say about Zero Dark Thirty is that it is an ambitious and comprehensive look at the post 9/11 search for Osama bin Laden through the lens of a singular agent. 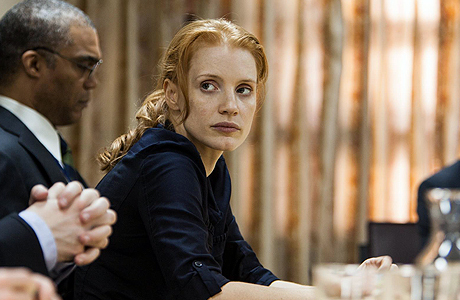 The plot of the movie follows Jessica Chastain's Maya from her first days in the field as a CIA agent and her twelve-year search for a thread to lead her to Osama bin Laden. The film details her efforts against the backdrop of major events that have unfolded between the 9/11 attacks and bin Laden’s eventual demise. Agency politics, political machinations, and hostile skirmishes play out onscreen building to a crescendo until the film’s climax. This film is right up my ally in subject matter. 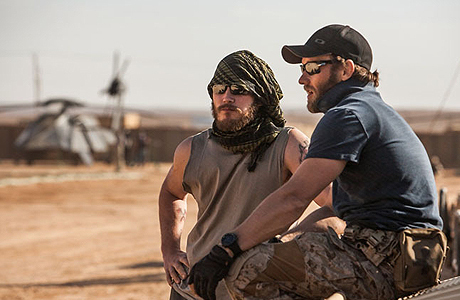 The Kingdom, The Recruit, and Body of Lies – I tend to find films that focus on the agency and counter terrorism incredibly interesting even when they are not particularly good. Zero Dark Thirty is a better brand of film than the aforementioned three. Brought to the big screen by Kathryn Bigelow and Mark Boal – the team behind The Hurt Locker – the film does a great job of humanizing events that could easily have been sensationalized. Everything feels personal and real, and this is done by taking an immensely large story and telling it on the smallest of scale. The success of this film is tied to Jessica Chastain’s performance and she does a good job of portraying a character that develops from a very green agent into someone with a singular focus and determination. She strikes a good balance between being a person and an agent, and while it probably is not her best performance, it is my favorite from her resume. Playing opposite Chastain is a host of accomplished actors who bring a lot to the film in limited screen time. Jason Clarke as veteran agent Dan does a great job of setting up a contrast to Chastain’s Maya and provides a reference of one direction that her career could ultimately take. Jennifer Ehle’s performance as a fellow agent helps to draw out the personal aspect of the film’s protagonist. Mark Strong and Kyle Chandler deliver professional workman-like efforts as the physical embodiment of bureaucracy, while Joel Edgerton and Chris Pratt turn in my favorite performances in the film as U.S. Navy Seals. The finished product is a very strong movie, perhaps a bit longer and more comprehensive that I had anticipated, but as you watch the scenes unfold, you become aware that you are watching accomplished filmmaking. The lone drawback for me in this film is that it is so layered and the subject matter so incredibly real that there is little joy to be garnered from it. Sure, there is great catharsis as the climax takes place (it is palpable as you watch it with a crowd in the cinema), but the film leaves you with an understanding that it only offers a bit of closure to a story that never really ends. I would recommend you see this movie on the big screen as it warrants this type of viewing. It is in limited release now (Los Angeles, New York) and drops nationwide the second week of January. While I don’t think it is the best picture of 2012 as many pundits have claimed, I do think it is a meaningful and expertly executed exercise in filmmaking. Standout Performance: Chastain gets the nod here since it is her movie from start to finish, but Jason Clarke, Joel Edgerton, and Chris Pratt deserve some notice as well. 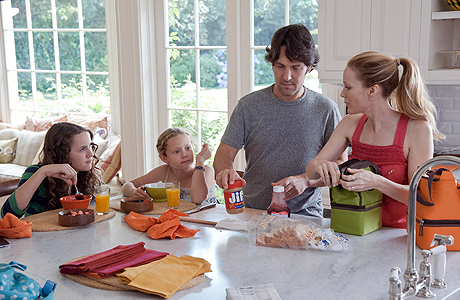 This is 40 is a perplexing film. Not so much the premise or the plot, but perhaps the execution. I say perhaps because I am not entirely sure. Here’s the thing, there are some very good scenes in this movie, and a strong number of laugh out loud moments expertly executed by talented actors with great comedic timing, and yet as I walked out of the theater, I didn’t feel like I watched a great movie. In fact, in a lot of ways, Judd Apatow’s latest film barely feels like a movie at all. But I digress. 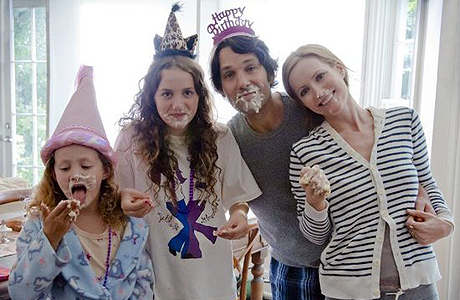 This is 40 is a spin off of Apatow’s 2007 hit Knocked Up, following up on the lives of Paul Rudd’s Pete and Leslie Mann’s Debbie as they stand on the cusp of their forties. The movie is an authentic albeit somewhat sensationalized look at some of the issues that can befall married couples as their respective families mature. Daddy issues, communication, managing children’s access to technology, finances, the film runs the gamut of challenges facing spouses, parents, and professionals. So here’s the thing, there are some incredibly funny scenes as well as others that are insightful, witty, and fun. Apatow has written a script that captures the essence of what it feels like to transition into middle age. The problem then with the movie is the connective tissue between these moments. There is some semblance of an overall arc to the film revolving around Rudd and Mann, but there’s not enough there to really drive the movie and make it feel like something more than a collection of vignettes. This makes you wonder what the point of the narrative really is and thus makes the proverbial whole feel less than the sum of the individual parts. In this film you are treated to the garden variety Paul Rudd performance. 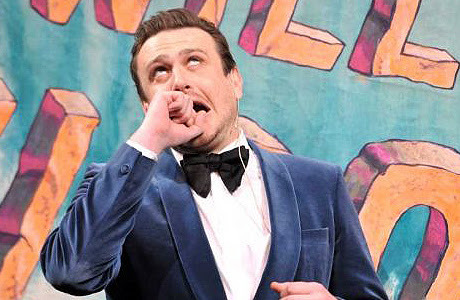 He plays an affable, funny every man and does it well, but there is nothing fresh or exceptional about this turn. Ditto for Leslie Mann who effortlessly slips into the role of the somewhat difficult but mildly endearing wife as she has so many times in the past. There is nothing groundbreaking about her work, but that’s not what the role calls for. As for the rest of the cast, Maude and Iris Apatow do a nice job rounding out the family though at times Apatow seems to indulge his real-life children with scenes that run far too long or seem oddly out of place. Robert Smigel, Melissa McCarthy, and Chris O’Dowd do an impressive job in supporting roles adding some valuable comedic elements to the movie, while John Lithgow, Albert Brooks, and Megan Fox (surprisingly) are decent contributors. If you are over the age of thirty or if you have kids, there may be enough wit and humor in this movie to make it worth watching in the cinema. However, if you thought Project X was a great movie, then you probably want to look elsewhere for entertainment (and reassess what you should consider entertaining). Again, with so many superlatives and few complaints to go around it feels strange that I can’t give this movie a stronger endorsement, but at the end of the day a narrative needs to take you from point A to some other destination and This is 40 never really goes anywhere at all. My best advice is to make it a rental with moderate expectations and you will find yourself pleasantly surprised. 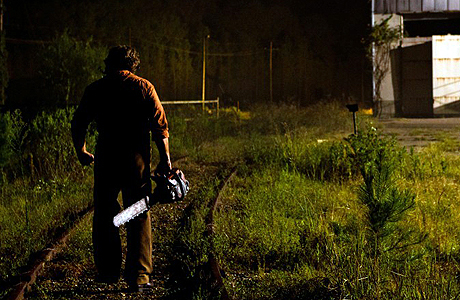 Standout Performance: Jason Siegel as Jason. Siegel is hilarious, reprising his role from Knocked Up and his scenes with Chris O’Dowd are some of the best in the movie. Why You Should See It: Because the world lived on despite the Mayan calendar and you didn't plan ahead. Why You Should Avoid It: The premise, the cast, the uncomfortable 3D glasses, et al. And the Magic 8 Ball Says: Do you really need to ask...? Why You Should See It: Because two other Marlon Wayans movies - Scary Movie and White Chicks - were very funny. Why You Should Avoid It: Because every other Marlon Wayans comedy has been a disaster. And also the presence of Nick Swardson. And the Magic 8 Ball Says: A very bad rental saved for an international flight with a side of booze. Why You Should See It: Very good cast and solid source material. 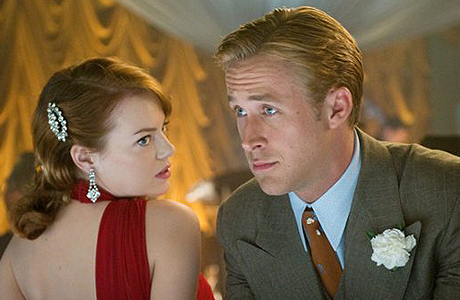 Why You Should Avoid It: Because you already watched Emma Stone and Ryan Gosling do their thing in Crazy Stupid Love. And the Magic 8 Ball Says: A good movie to break the post holiday doldrums. 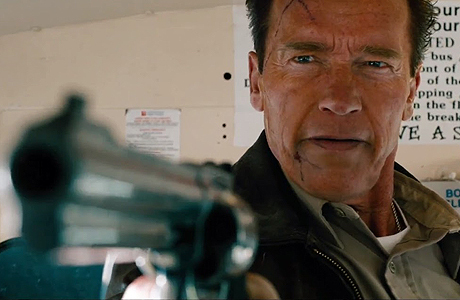 Why You Should See It: Because the Governator is back. Why You Should Avoid It: Because he still can't act a lick. And the Magic 8 Ball Says: Not in any scenario in which you have to pay to watch this movie. 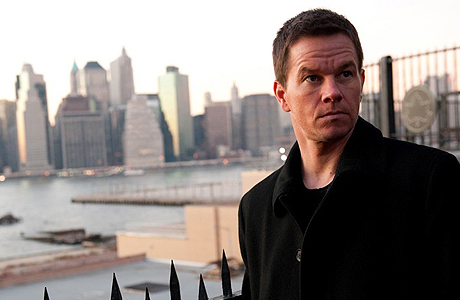 Why You Should See It: Because Marky Mark is on a roll. Why You Should Avoid It: Because the premise is not particularly fresh and Crowe and Zeta-Jones are past their prime players. Why You Should See It: Because Guillermo Del Toro and Jessica Chastain have track records of making good movies. Why You Should Avoid It: Because Sinister, Chernobyl Diaries, Paranormal Activity 4, and any other horror movie you have seen in the past 2 years. And the Magic 8 Ball Says: This is a no. Plain and simple. 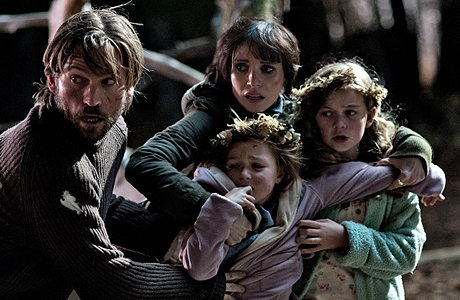 Why You Should See It: Good cast and an interesting take on a fairy tale. 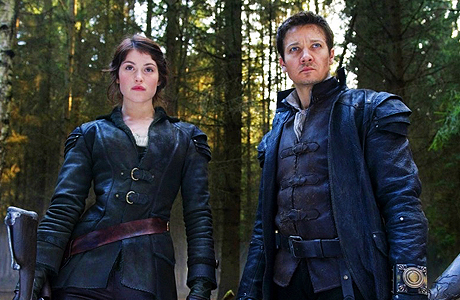 Why You Should Avoid It: Because Snow White and the Huntsman went for a similar kind of twist and derailed. Starring: Hugh Jackman, Emma Stone, Gerard Butler, Elizabeth Banks, Kristen Bell, Naomi Watts, Kate Winslet, et al. Why You Should See It: Because some of the biggest names in Hollywood are in this comedic film. Why You Should Avoid It: Because movies that feature a huge ensemble cast loaded with big stars tend to really really stink. It’s been a brutal year at the theater. From Project X to Rock of Ages and everything else in between, we have been treated to some difficult movies to digest. From these films, performances have emerged that make us wonder why we venture out to the cinema each weekend, visit the overpriced concession stand, and sit in the crappy seat in the corner in front of the big screen. With that in mind, here’s a look at ten performances that made me question why I even write this blog. 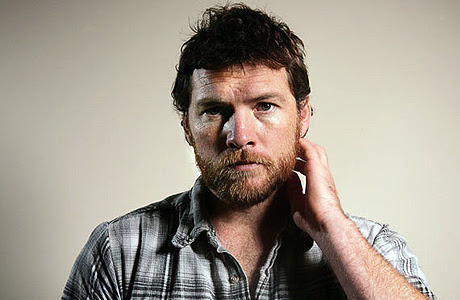 If you want proof that Sam Worthington should not be allowed to make movies not directed by Jim Cameron, you can turn to Terminator Salvation and Man on a Ledge. But the film that really hammers this point home is Wrath of the Titans. There seems to be this new movement in which actors such as Worthington believe grumbling in low tones and staring intensely at everything makes for a deep and layered performance. Sadly, it does not. Segel is not a dynamic actor, but he is a funny one. If you look closely, almost every character he has played has been a slightly different version of Marshall from How I Met Your Mother. This isn’t the worst thing in the world since there are a lot of laughs to be had in that world, but like many other comedians before him, he aspires to be something more than the court jester. This movie is to Segel what Punch Drunk Love was to Sandler, what Everything Must Go was to Will Ferrell, and what The Majestic was to Jim Carrey. Here’s hoping Segel goes back to his roots and in lieu of chasing an Oscar. There’s nothing wrong with being a paycheck employee. Mailing it in from nine-to-five and then running to the bank on Fridays to cash your check is more the norm than the exception in this day and age. 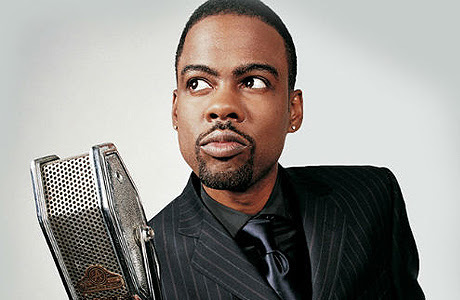 It does however become problematic when you are Chris Rock – one of the highest grossing standup comedians of all-time – and you are featured prominently in trailers as the comedic relief in a romantic comedy that turns out to not be funny. When did Ben Stiller make the transition from the awkward but plucky underdog to the strange idiosyncratic weirdo? Whenever it was, it marked the point when Stiller stopped being funny and started appearing creepy. The Watch represents another step in Stiller’s career towards Adam Sandler-ville, a place where you make crappy movies so that you can hang out with your friends for a few months and get them a paycheck. If LeBeouf were a tenth of the actor that he thinks he is, he would have his own wing in the acting hall of fame. Unfortunately for us, he is not; a fact he reminded us of with his amateurish overwrought portrayal of bootlegger Jack Bondurant in Lawless. Standing shoulder to shoulder with some very accomplished actors, his shortcomings are glaringly apparent and his prominence in the movie clearly hindered what could and should have been a better film. Thirteen years ago, Chris Klein started out his career as a douchey cheap man’s Keanu Reeves with an overinflated sense of self and absolutely no acting ability whatsoever. This past year, Chris Klein re-emerged from relative obscurity to turn in a terrible performance in American Reunion. His works in American Reunion and a series of interviews to promote the film showed us that he is now an older douchey cheap man’s Keanu Reeves with an overinflated sense of self and absolutely no acting ability whatsoever. Katherine Heigl plays a bounty hunter in this movie. Let me say that again. Katherine Heigl plays a bounty hunger in this movie. If that is not damning enough, let me follow that up with this statement: Heigl’s performance is one that can best be described as on par with Bruce Willis’ in Armageddon or Kevin Costner’s in Robin Hood: Prince of Thieves. Not since seeing the aforementioned movies have I witnessed an accent so butchered only to be abandoned mid film. Most of Heigl’s fans only ask that she pretend she is trying in her movies. In this one, she couldn’t even give them that. This one was brutal. Bad accent. Bad look. Bad everything. Nothing Cusack did in this movie worked and for most of the film it looked like he wasn’t even trying. 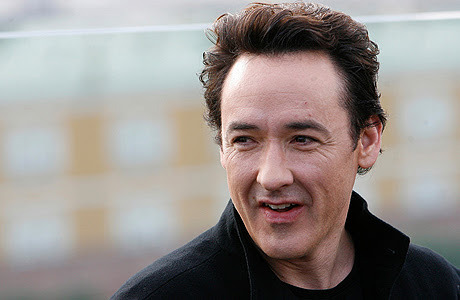 While doing press for this film, Cusack lamented that Hollywood studios don’t make romantic comedies anymore. Well, if he turns out another performance or two like this one, he won’t be making them either. There are very few people allowed to star in feature films that have less charisma and poorer acting skills then Stewart. She has one gear and one gear only – apathy. Her performance in Snow White and the Huntsman really detracted from the finished the product, as it grew painful to watch her sleepwalk through this movie. If you ever need a reminder that we live in a great country with loads of opportunity, remember that Stewart (and her limited talent) was the highest paid actress of 2012. 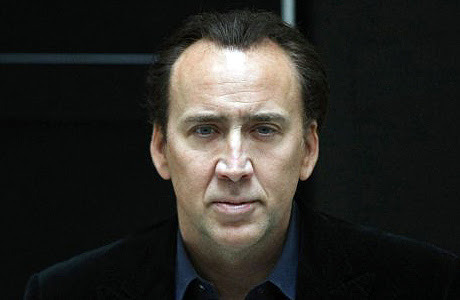 There are lists that have lists that have their own lists detailing bad Nic Cage movies. The man has participated in some truly horrific projects while on his way to resolving a series of tax issues. 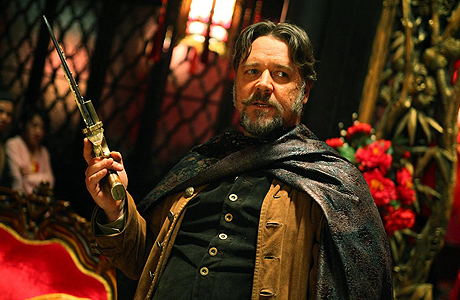 His performance in Ghost Rider: Spirit of Vengeance has to be considered amongst his most perplexing.